Each fall, as the autumn leaves begin to turn beautiful colors, it should remind you that it’s time for annual furnace maintenance in Eden. Early fall or even late summer is the best time to schedule maintenance. You want to have it done before the cold weather sets in and HVAC companies get busy answering emergency repair calls. Benjamin Franklin once said “An ounce of prevention is worth a pound of cure.” This famous saying, though first spoken hundreds of years ago, absolutely applies to furnace maintenance today. Preventative maintenance, which is a very affordable expense, will save you from costly emergency repairs. Maintaining your furnace each year will keep it running smoothly, which prevents more serious problems. An important part of maintenance is inspection, which will bring to light any potential issues that could lead to future breakdowns, such as worn out parts, loose screws, corroded wires, or refrigerant leaks. If your furnace breaks down completely, it’s possible that it will require a more expensive repair or even replacement. Proper furnace maintenance in Eden will extend the life of your equipment. An important aspect of furnace maintenance is cleaning. When dirt, dust, and soot build up in your furnace, it lowers the energy efficiency. When your furnace is running less efficiently, it uses more energy and your bill gradually increases. A thorough cleaning of your system will restore efficiency and lower your energy bill. An additional benefit to furnace maintenance is improved air quality. The dust, dirt, and soot that gradually build up in your system and ductwork pollutes the air in your home. Dust is a common allergen which can irritate respiratory issues from allergies to asthma. Soot build-up can cause increased carbon monoxide production, which is dangerous to people and pets. 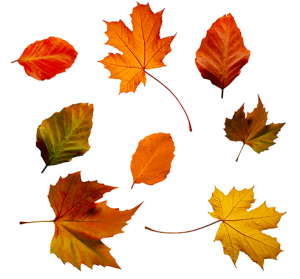 Fall furnace maintenance will help you and your family breathe easier all year. To schedule fall furnace maintenance in Eden call Berico at (336)623-9741.